The ABC7 I-Team has the first video of former Illinois congressman Aaron Schock. He hasn't been seen since resigning from office in March. SPRINGFIELD, Ill. (WLS) -- The ABC7 I-Team has the first video of former Illinois congressman Aaron Schock. He hasn't been seen since resigning from office in March. Schock appeared at a Springfield courthouse Wednesday, where a grand jury has been investigating corruption allegations. For someone who devoured public attention the past few years, Schock has become a recluse of late. On Wednesday, he was back in public for the first time in more than four months. But the ex-Republican representative wasn't surfing, posing poolside or doing the tango in India, as he once enjoyed. This appearance was to explain why he shouldn't be held in contempt of court. Federal district court Judge Sue Myerscough held a two-day hearing to determine why Schock shouldn't be held in contempt for failing to turn over records subpoenaed by a grand jury. This transcript of Wednesday's proceedings is the first verification that a grand jury investigation involving Shock even exists. Grand juries are meant to be secret. It hasn't been much of a secret that Schock was targeted by federal prosecutors after he resigned in March amid questions of lavish campaign and congressional spending, epitomized by his Downton Abbey-style office decor on Capitol Hill. When asked by a reporter Wednesday about his next plans, Schock replied: "We'll see." 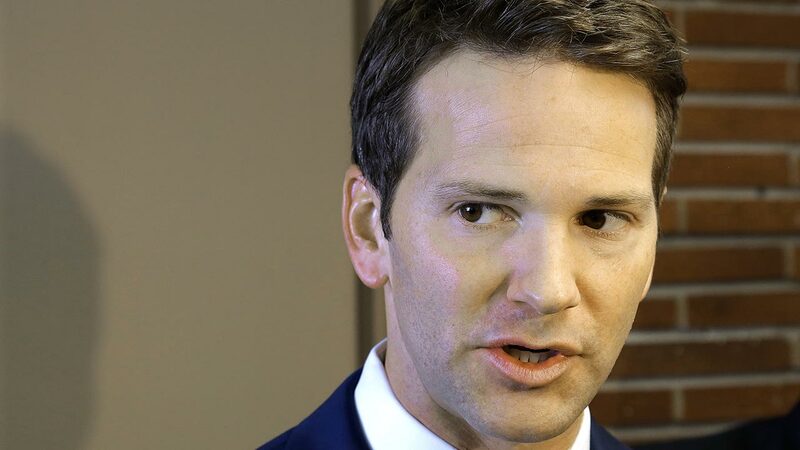 Schock hurried away from court after his attorneys and the government apparently agreed on a plan to turn over campaign and congressional records spelled out in three grand jury subpoenas - a plan that would avoid contempt charges. "Well there was a legal proceeding that involved making sure that as Mr. Schock cooperated with the grand jury, that his constitutional rights were protected and fortunately we reached a very good accommodation with the government," said George Terwilliger, Schock's attorney. It is the same American government that Schock not long ago played a starring role, and was considered a GOP dynamo. Now his political muscle is gone, replaced out of necessity by a legal powerhouse. "You might have better luck talkin' to these gentlemen," Schock said, referring to his attorneys. In addition to Schock's campaign office being searched by federal agents last month, authorities have subpoenaed records from a political data processing firm in Georgia that was used by Schock. They are also demanding Schock travel and spending records from the House of Representatives.